Want an easy way to get a 5% discount on your next cruise? This will only work if you've cruised with MSC before - join the MSC Voyagers Club. The even better news is that this discount can usually be combined with SouthAfrica.TO specials to squeeze even more off the price. For example Use our unique cruise voucher system to discount your MSC Cruise! Our readers are our writers - we give away cruise vouchers to anybody who emails us a writeup and photographs of their cruises. Easy. This deal is combinable with MSC Voyagers Club Discounts. All it takes is for one person in the cabin to be an MSC Voyagers Club members. 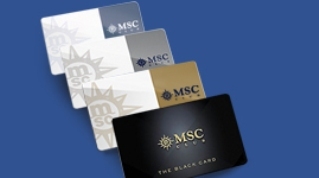 The MSC Voyagers Club is a loyalty club for those cruising with MSC. Being a loyal MSC Cruises guest means entering an exclusive club: a world of pleasures and privileges that multiply with every journey. As a member of MSC Club, you can take advantage of all MSC Cruises benefits, both on land and onboard. To be eligible as a member, you must have already completed an MSC cruise, however, in order for new members to receive points from the last cruise that they did, they would need to register on the programme within 3 months of disembarking. You earn points which allow you to progress from Welcome to Classic, Silver, Gold and Black. If you haven't cruised before but have made a confirmed booking then you can join the Welcome Class, but wont be able to retrospectively change the price you paid. Joining is free (a price I can live with!) and for all ages. Below we mention the standard benefits; however we have noticed that MSC sometimes throw in additional benefits; e.g. only Voyagers Club members were initially able to book the world cruise, and black card holders were invited to the cocktail party in Cape Town to celebrate the MSC Musica coming to South Africa. 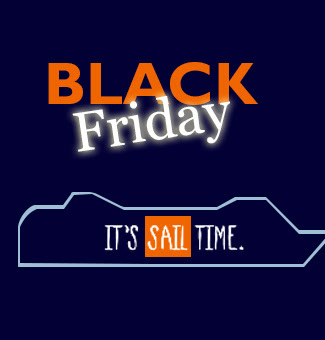 On Black Friday, 25 Nov 2017 Classic and above members received a 15% special off certain cruises: "As a valued MSC Voyagers Club Member you can SAVE your standard Voyagers Club 5% discount and add an additional 15% discount on a selection of 2018 departures!" Note that benefits may vary by country. You must cruise at least once every 36 months, or your membership expires. The WC allows you to receive the emailed - newsletter, on the boat you can access club information points ("infopoints") and you can access the private online space of the club. There is no physical card which you receive. Unfortunately, at this level there is no discount for cruise bookings. Requires 1 to 2 199 points. 5% discount on the cabin fare. On certain select departures you can receive an addition 5% or 15% discount, in addition to the standard 5%. You can receive a physical card. You receive luggage tags which ID you as being a club member. A welcome cocktail on the ship. A dedicated queries number on the ship. Some on board specials for club members. These vary and it's also possible that there are none on a cruise; e.g. discounts in the logo shop, discounts on spa treatments, discounts on the laundry service or a discount on the mini-bar in the cabin. You can partake in the MSC Ambassador online polls. Exclusive MSC Club check in area, at specified ports. The preferential check in is available at the following ports: Naples, Genoa, Civitavecchia, Palermo, Bari, Venice, Marseille, Barcelona, Valencia, Kiel, Copenhagen and Amsterdam. Requires 2 200 to 4 299 points. A free sample of fruit in your cabin when you board. On certain select departures you can receive an addition €/$50 p.p. for onboard spending. A milestone reward - it's not 100% clear what this is, but it probably involves something like receiving a pin indicating your new membership level. Complimentary one-hour thermal suite session. Requires from 4 300 to 9 999 points. A free 60 minute session in the thermal area. A birthday cake, if it's your birthday. Requires 10 000 or more points. At disembarkation, a late cabin check-out (this comes in very, very handy!) at the end of the cruise. At the end of the cruise, a priority disembarkation. If at a port where a tender boat is required, then BC holders receive priority disembarkation. Courtesy slippers and towelling bathrobe. One free dinner at a speciality restaurant, per cabin. Priority boarding where possible (unfortunately it's not possible in SA). Your cruise card should have your Voyagers status on it as well as your membership number. It's crucial to use your cruise card for purchases, so as to earn points. There are also sometimes special cocktail parties onboard for Voyagers club members - at our last cruise this took place in the theatre; and involved a photo opportunity with the Captain, an MSC cruise consultant telling us about their Future Cruises program, a speech by the Captain, the officers of the ships lining up on stage and a gift of a free photo (more valuable than it seems at first sight, given the price of photos on the ship).